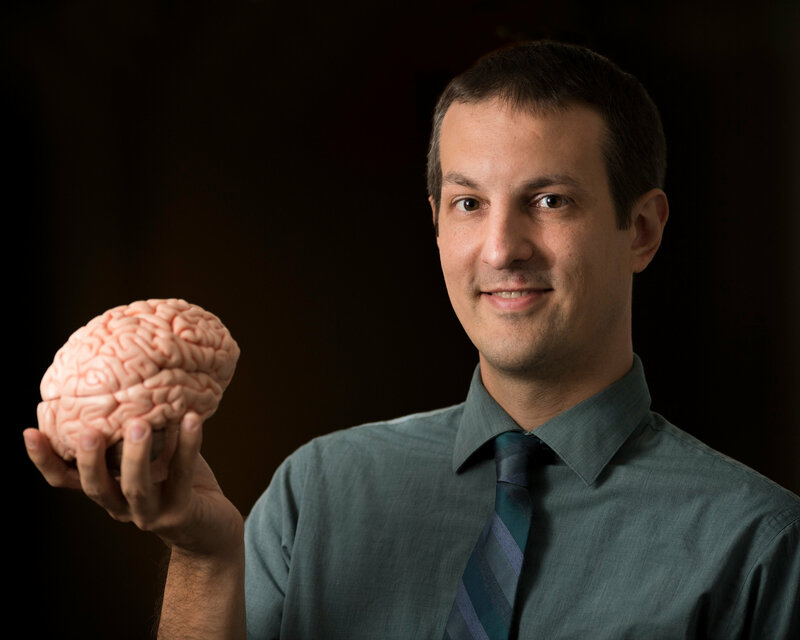 With a finding that will “rewrite neuroanatomy textbooks,” University of Iowa neurologist Aaron Boes, MD, Ph.D., and his colleagues show that the thalamus is not a critical part of the brain pathway involved in keeping humans awake and conscious. Consciousness has two main elements—wakefulness and awareness. The more basic of the two, keeping the brain in a state of wakefulness, is what the UI team focused on in the current study. When this basic function is lost the result is coma, or loss of consciousness. To evaluate the role of the thalamus in the neural circuitry of arousal in humans, the UI team led by Boes and Joel Geerling, MD, Ph.D., assistant professor of neurology, searched medical records to identify 33 patients who had had a stroke that affected the thalamus. They used the patients’ MRI images to map the precise brain areas damaged by the stroke and assessed the level of consciousness for each patient within the first 12 hours of the stroke.